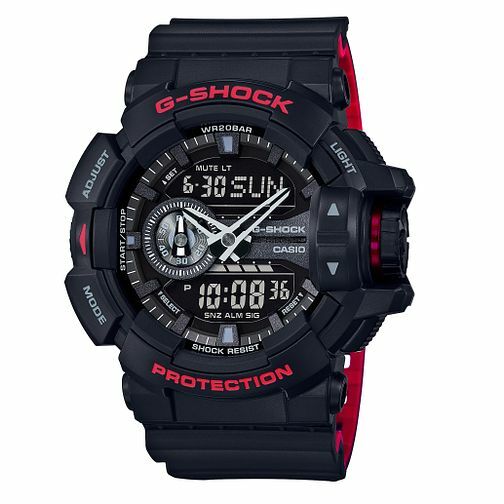 Go for sporty, rugged and functional style with the bold G-Shock black resin strap watch with world time function. Perfect for everything your active life throws at it as you travel the globe. Featuring analogue and digital display, countdown timer, and much more. Casio G-Shock Men's World Time Black Resin Strap Watch is rated 5.0 out of 5 by 1.